Dr. Humbert is a Speech-Language Pathologist with expertise in swallowing and swallowing disorders. She completed her Bachelors of Arts degree in Speech-Language Pathology at the University of South Florida. Her Masters of Science, also in Speech-Language Pathology, was obtained from Howard University. 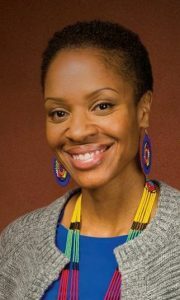 After her clinical fellowship, and becoming a member of the American Speech-Language Hearing Association, she began her doctoral studies at Howard University. During this time, she was awarded a Pre-Doctoral Research Fellowship in the Laryngeal and Speech Section of the National Institute of Neurological Disorders and Stroke of the NIH. There, she trained under the tutelage of Dr. Christy Ludlow. Dr. Humbert’s research program is focused on the physiological mechanisms of swallowing disorders and the development of rehabilitation strategies for dysfunction. Her interests center on the peripheral and central control of swallowing in normal and impaired function. More recently, a major interest of her research program has been to understand the neural mechanisms underlying normal and disordered swallowing and how principles of motor learning can be applied to examine these as well as swallowing interventions. In this context, Dr. Humbert’s research involves neural stimulation, neural imaging, and peripheral perturbation studies of swallowing in humans. These studies focus on aspects of age-related decline and neurogenic dysphagia and how rehabilitation can be more effective when implementing skill learning and/or adaptation to perturbations. The techniques used in her laboratory include videofluoroscopy, transcranial direct current stimulation, transcranial magnetic stimulation, electromyography, and kinematic and behavioral assessments.